The historical research consumed more than three years of concentrated activity drawing from the records of the Board of Trustees, student and University publications, letters and correspondence, minutes of meetings, newspaper and magazine reports, and the personal recollections of many who played pioneering roles. 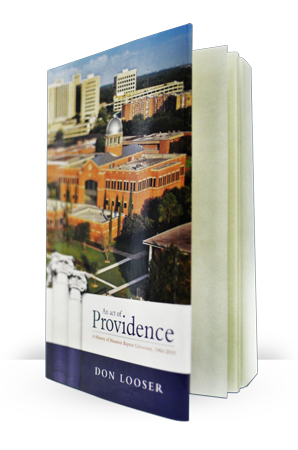 The 500-plus page volume features historical photographs and detailed rosters of the University’s organizational leadership. Fully referenced to source materials, the work stands as a foundation for documentation of the University’s future. 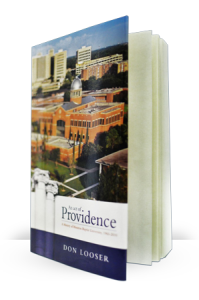 Publication of “An Act of Providence” marked the beginning of the University’s celebration of its 50th anniversary.